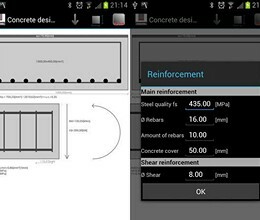 ConcreteDesign is a civil engineering app to determine the amount of reinforcement in a concrete section for preliminary design. For Non-pro users, Google ads are running, which requires Internet connection and Access network state. No internet traffic whatsoever is generated for Pro users. 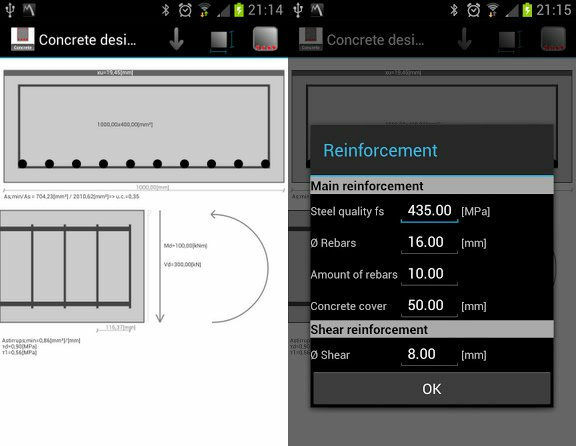 * ConcreteDesign download link provides freeware version of the software. ConcreteDesign has been rated 2.0 out of 5 points. A total of 2 votes cast and 0 users reviewed the software.